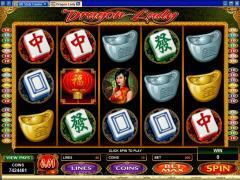 As its name suggests, Dragon Lady is a Chinese themed slot game. The Oriental ambience is created through exquisitely crafted graphics with intricate patterns. The detailing can be seen even in the borders of the reels and buttons. Many of the symbols are obviously taken from Chinese culture and the others are identifiable with the theme because of the Chinese calligraphy. There are three scatter symbols - Fan, Lantern and Dragon. The Jewelry Box is the bonus symbol and the Dragon Lady Logo is the wild symbol. The Dragon Lady, the Urn, Gold ingot, Silver Ingot, Red Box, Blue Box and Green Box make up the other symbols. All three betting options can be manipulated in this Microgaming slot game. Players can enable up to 40 paylines and wager up to 10 coins per payline. The coin size range, which varies from 0.01 to 0.50, is also adequate. With these parameters the maximum line bet is 5.00 and the maximum total bet per spin is 200.00. High rollers will love these betting options and low rollers can stay within their budget by selecting the lower parameters. The Dragon Lady Logo is the wild symbol. It substitutes for all symbols except the bonus symbol and the scatter symbols. It does not act as a multiplier. 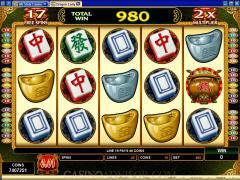 Five wild symbols in an enabled payline result in a jackpot payout of 5000 coins. The Jewelry Box is the bonus symbol. When it appears in any position on the first and fifth reels it triggers the free spins bonus round. In this round 10, 15 or 20 free spins may be randomly awarded with all payouts being doubled. The free spins can be retriggered and the number of free spins will be the same as in the earlier round. If any three scatter symbols, not necessarily identical ones, appear anywhere on the reels then the Dragon Bonus round is triggered. In this round players can win up to 100 times their total bet. 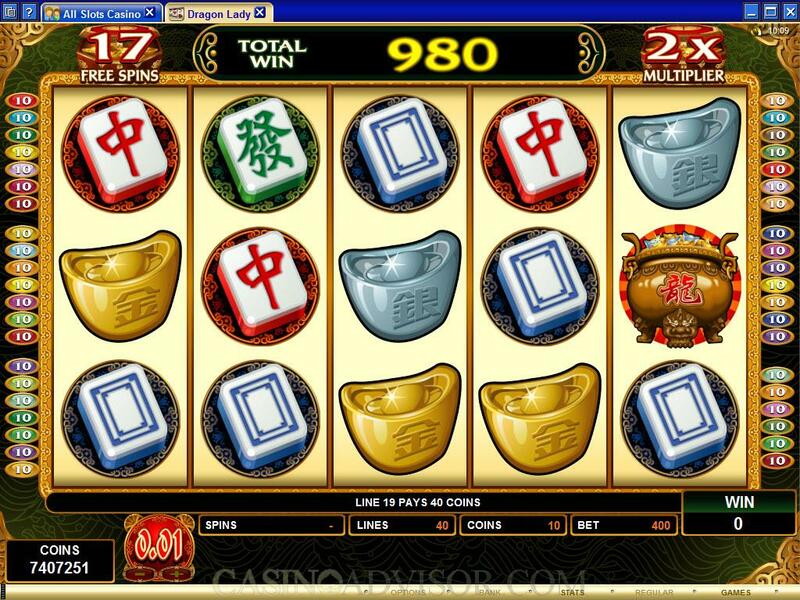 Dragon Bonus payouts are based on the number of successful matches made during the bonus. The matches are made on nine symbols and the setting is that of a Chinese fortune reading. A minimum payout of 6 times the total bet is guaranteed. If the Dragon Bonus and the free spins are simultaneously triggered then the Dragon Bonus will be played out first. The Dragon Bonus can be triggered during the free spins but the bonus payouts are not doubled. 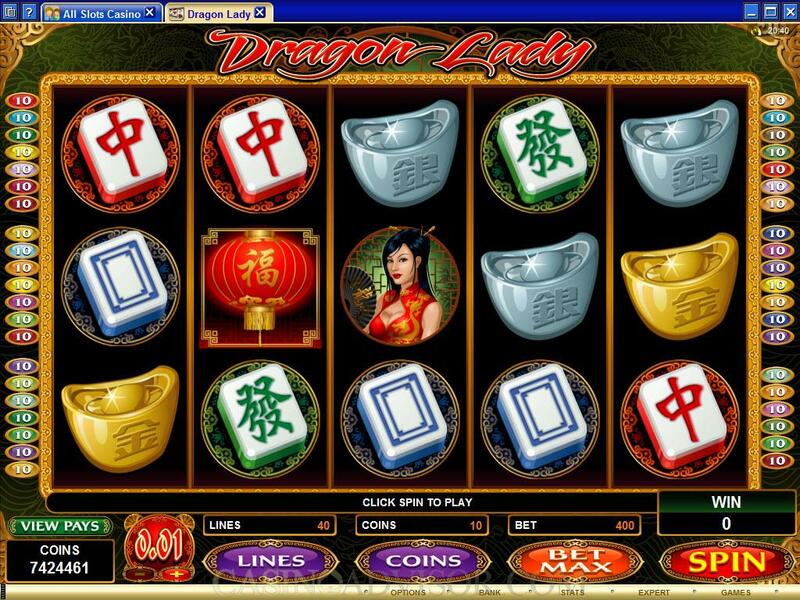 There are no separate scatter payouts in Dragon Lady. There is also no gamble game or progressive jackpots. Interested in reading more detailed information about Dragon Lady? If so Click Here for more details.